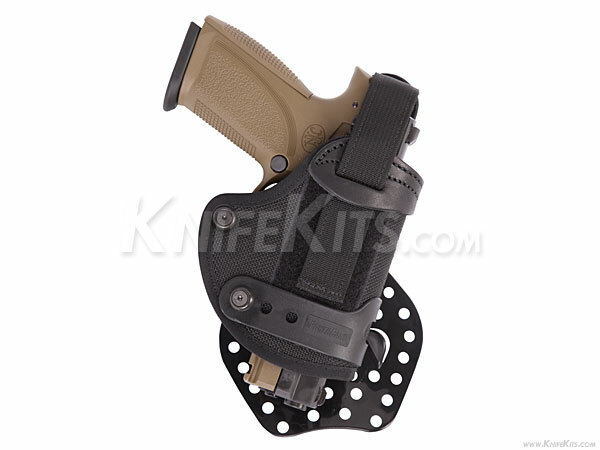 The Elite Survival Systems Contour Paddle Holster's paddle slips inside the waistband for effortless attachment and removal, yet stays in place while you draw. 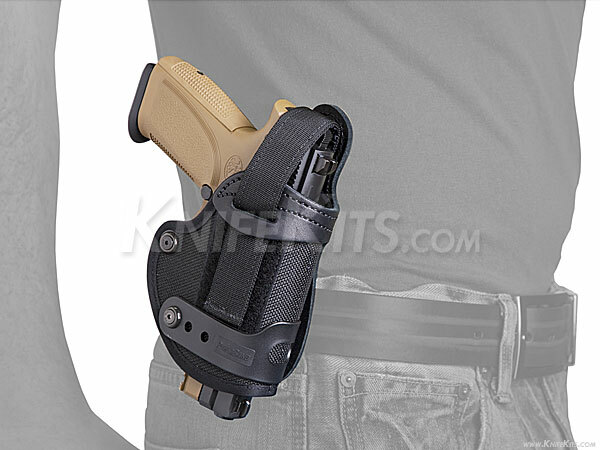 This adjustable system quickly pays for itself to those who may need to carry or remove their weapon repeatedly or at a moment's notice. It has a velcro adjustable, ThumBreak retainer strap and our patented PowerBand adjustable tensioning system. It also contains SightStrip to protect front and rear sights. Sizes are available to fit most pistols and revolvers.